Now ladies we can all admit that shopping for your husband, fiance, boyfriend, whomever the man in you life is, it can be hard sometimes. When we ask them what they want for Christmas they may reply with "whatever", "anything", or even "You don't need to get me anything", but we all know that doesn't cut it, sorry fellas. Sometimes the man in our life already has everything, or they just can't make up there mind and that's alright. So if your man can't tell you what they want this Christmas then I've come to your rescue! Hip Hip Hooray! 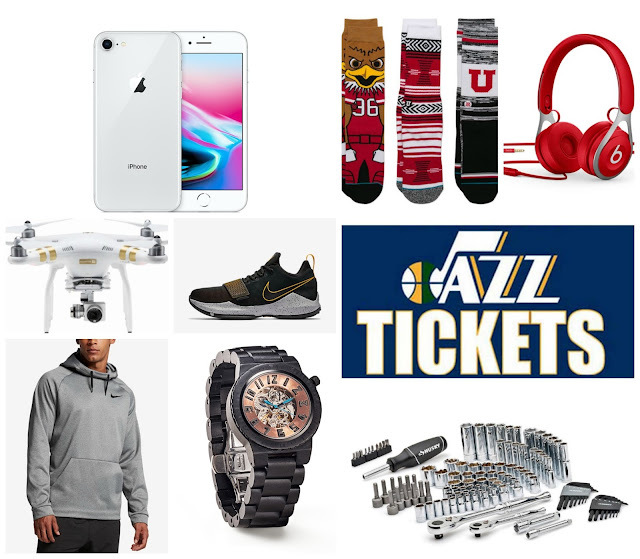 With a little research and asking my husband of the top gifts to get the man in your life, I've complied a list of 9 gifts to get the everyday man, from affordable to a little extra $$. That being said, I hope this list helps and be sure to let me know if you decided to get one of these gifts for him or even share with me what your planning on getting him!